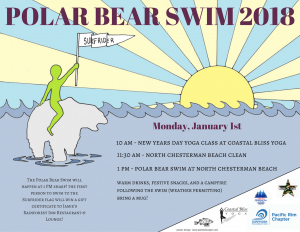 Join Surfrider Pacific Rim and the community for the annual New Year’s Day Polar Bear Swim! There will be a fire to keep you warm, hot chocolate and treats. Remember BYOM – Bring Your Own Mug!